Hey guys! Hope you are doing well! 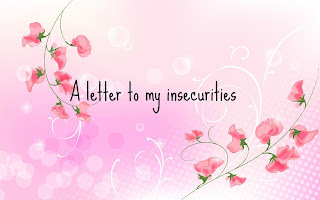 I am back from a bit of a blogging hiatus! 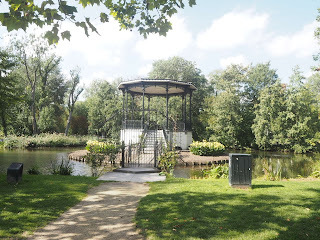 Basically, after my last blog post, I went to Amsterdam for a week and then two days after I got back and went back to Uni to start my masters so I have been busy settling into my new flat! 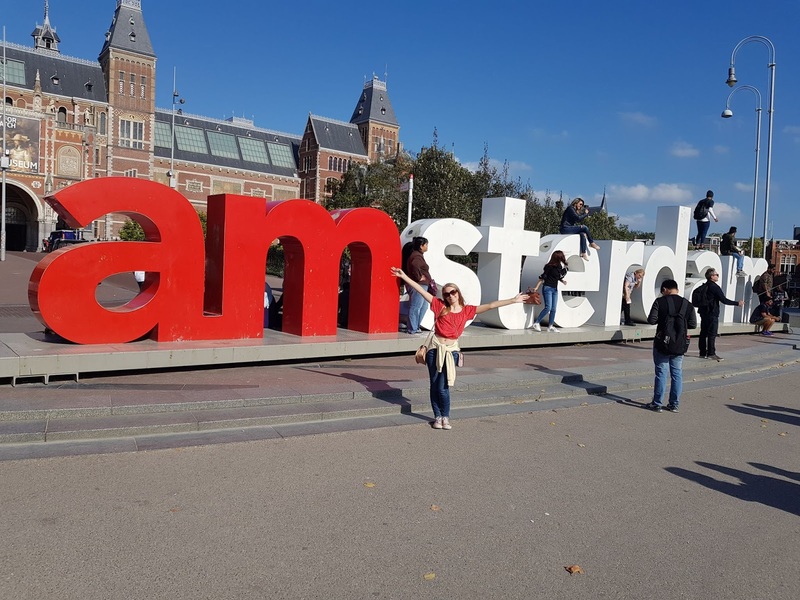 I thought I would talk about what I did in Amsterdam, just in case you are going soon and what some ideas! Amsterdam is definitely one of the places to be at the moment, I feel like everyone is jetting off there! 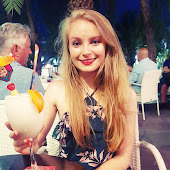 I had wanted to go for ages but I wasn't sure if I would have the chance, but me and my boyfriend fell in lucky and he managed to get some time off so we could go. We booked a jet 2 package deal and stayed for 4 nights, but our flight in was really early and our flight out was late so it felt like we got a full 5 days there too. Like I said, our flight was super early and we got to Leeds/Bradford airport at half 4 for our plane at 6:45. Because Amsterdam is an hour ahead, it was pretty early by the time we arrived! We caught our tram and the train to our hotel, (XO hotels park west) which luckily we were able to go to our room straight away at about half 10. I was pretty tired so I closed my eyes for a bit while we decided where to go for lunch. We bought a 4-day tram ticket which was only £22 euros which was so good considering we used the tram everywhere every day! We weren't 100% sure what to do on our first day so we decided we might as well just head for the red light district and headed for that museum. Which was definitely an experience! Here's a lovely picture of me there (you're welcome). Afterwards, we sort of just walked around all around there and where the palace is and stuff and just got a feel for the city! I didn't take too many pics because I didn't bring my camera with me but I really enjoyed my first day there just exploring really! 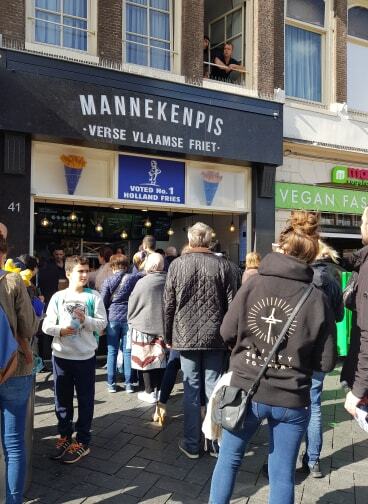 We did, however, stop for (apparently) hollands best chips which were, to be fair, pretty yummy! After hours of walking, we made our way back to the hotel and genuinely fell asleep so early we were exhausted! 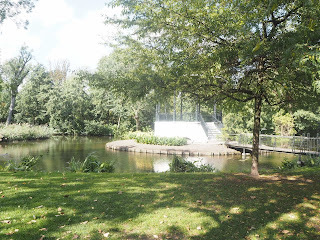 On Tuesday we decided to visit Vondelpark which was really nice! 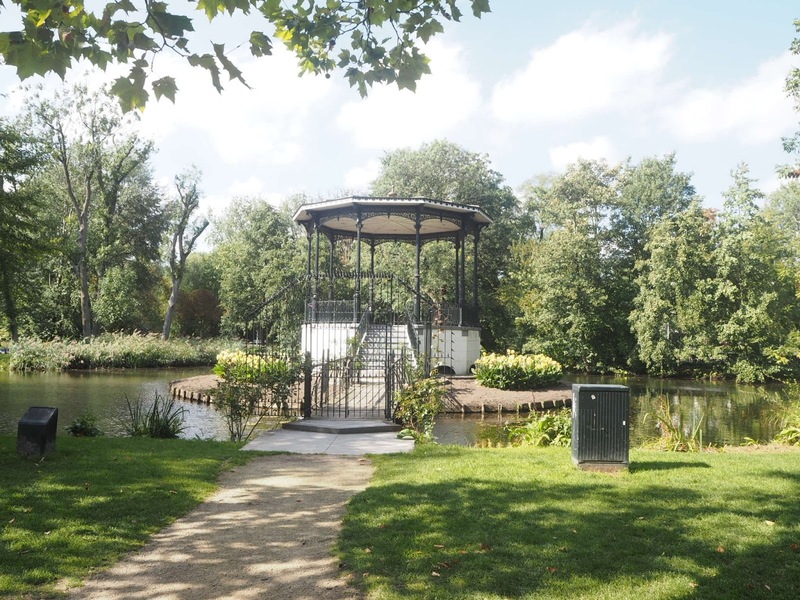 We had a pretty lazy morning and then headed here in the afternoon with a little picnic and just walked around the park which is really big! 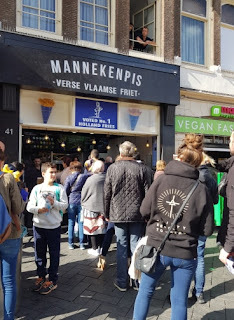 It's really busy and full of people on bikes but I would recommend going there! It's really pretty too! We then had a walk around where all of the museums are, the Rijksmuseum and Van Gough. We didn't go in any yet but we just had an explore of that park of Amsterdam which was really nice! We also took some pictures next to the famous I Amsterdam sign of course! We later went back to the hotel and then went back out for tea in the evening! We went for burgers from Thrill Burgers which were pretty good. On Wednesday we went for pancakes for breakfast! 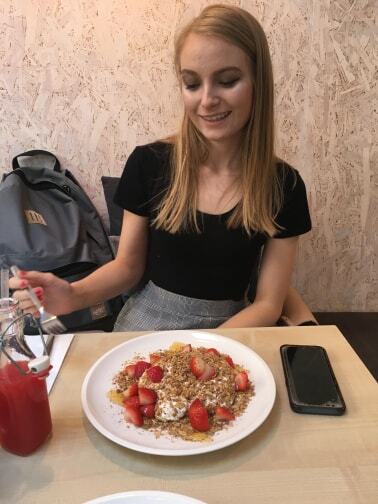 We headed to Mook Pancakes which were absolutely amazing and if you're in Amsterdam I would seriously check them out! Then we headed to the Van Gough museum which I was really looking forward too (Luke less so). I really enjoyed it though! Next time I want to go to the Rijkes instead! After spending even more time wandering around that area we headed back home to grab our coats for the ice bar! 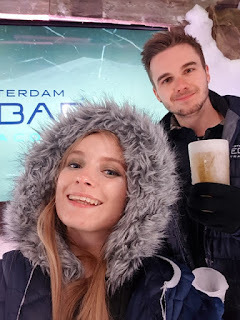 I really enjoyed the ice bar experience it was really fun! You pay about £18 euros but you get three drinks included and coats and gloves! 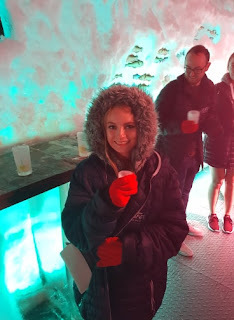 You get one drink in the warm area and two in the actual ice bar. The drinks are pretty limited to beer and shots in the cold part but the shots are actually really delicious and I really enjoyed it! When we woke up Thursday we tried really hard to get Anne Frank House tickets and we luckily managed! If you are going to Amsterdam and want to go you have to book them so far in advance! They let out a limited number on the day (all online btw you can only buy tickets on their website) but they go quite fast! We didn't realise this but luckily after trying for a few days, we managed to get them on our last full day! I really enjoyed the experience and I thought it was really moving and I would 100% recommend going. For tea we went to Cannibale Royale right in the red light district which was amazing! The food there was so good and I would also recommend this place to eat it was delicious! 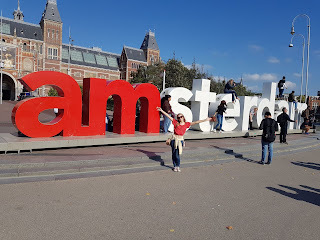 On our last day in Amsterdam, we had no idea what to do! We had been really lucky with weather all week untill Friday when it rained pretty badly! We decided to go back to our favourite places and we actually went into the prostitution museum which was actually really interesting! It's a pretty good museum and I would recommend it if you're interested in that sort of thing! We also, of course, went back for some more lovely chips where we visited on Monday! 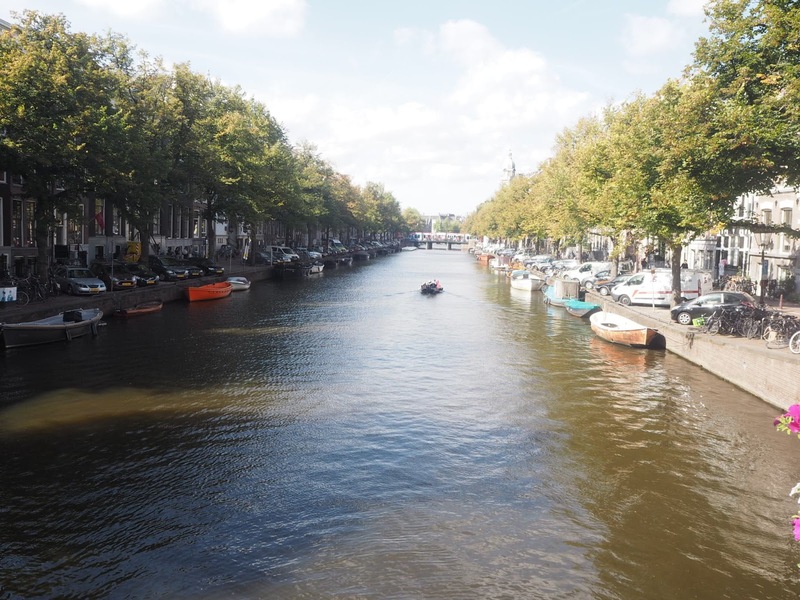 And that was basically our city break to Amsterdam! I hope you enjoyed this post! Have you been to any of these places?